It is a good place to have a rest and pass the time. Hotel “KRUNK” is located in the center of Sillamae, which is situated on the Golf of Finland coast (in the middle of highway Tallinn -St. Petersburg). There is the good combination of architecture of the 50s of 20th century and European standard of services quality in the building of the Hotel “KRUNK”. There are 21 apartments. 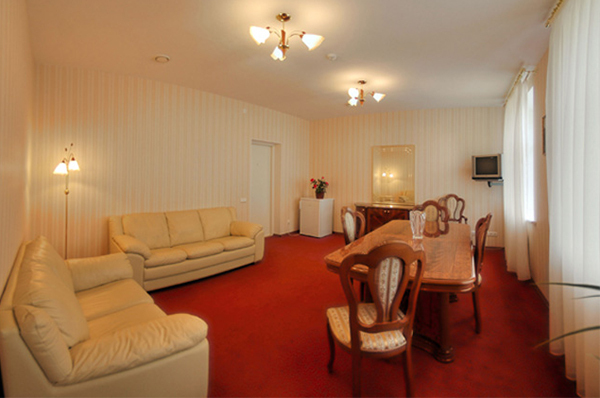 There is the fast and permanent Internet connection in all apartments of the hotel. Each room has the shower and satellite TV. Also you can leave your car in our guarded parking lots. For convenience of our guests we are offering the dinner in the restaurant and also there is the possibility for the conference in our conference center. The conference center capacity is 45 people. In the restaurant you can use the banquet hall. We invite to our hotel tourist groups, professional education groups and individual tourists. 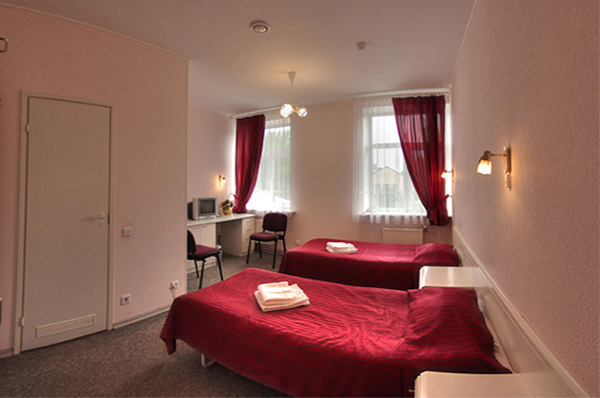 Our Hotel is a good place to start your trip to the Narva fortress, Narva Art Gallery and The Kohtla-Nymme colliery museum or the Kuremyae convent.